While people have been automating their homes for many years using various different technologies, the ‘Internet of Things’ has reinvigorated the category and we are beginning to see more and more products hitting the shelves aimed at the mainstream consumer rather than the traditional hobbyist. Both Belkin and Philips have “smart” bulbs on the market now which can be controlled via Apps and services such as If This Then That and Belkin are also busy expanding their Wemo range to cover just about everything in your home that has a plug, power switch or timer on it. The area we want to concentrate on today though is home heating. We have covered climote in the past and everyone is aware of Nest since they were acquired by Google for the small sum of $3.2 billion! Nest and climote are both well known in this country and are available through multiple channels including energy providers such as Electric Ireland. 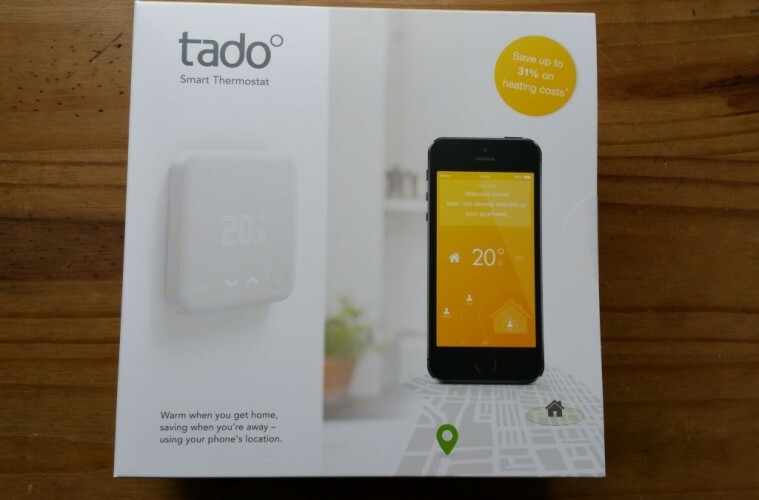 One product available on the Irish market which not too many people may know about is from a Munich based company called Tado°. Tado° produce a smart thermostat that replaces the traditional analog dial thermostat found in many Irish homes, and then automates the control of the temperature based on a number of conditions. We’ll get into how it does this below. There are a couple of options available to you with Tado°. You can buy the unit for €249 or you can rent it at a price of €6.99 per month, billed yearly. The rental option is aimed at people who may not own their home or are uncertain of how long they will be living there. It also gives people the option to try before buying outright. If you do rent and then decide to purchase the unit, up to 6 months of what you have paid will be credited against the purchase and the remaining months in your contract will be deducted from the purchase price. That seems like a pretty good option for people to go with and there is also a 30 day money back guarantee if things don’t work out. Tado° claim that their smart thermostat can save you 31% on your heating bills and they arrive at this figure based on the data generated from their current user base and from a study they commissioned to look into this. Time will tell how accurate this claim is but for now we haven’t built up enough of our own data to say either way. Once you have the smart thermostat installed in your home (how-to below), you switch your boiler to the “on” position and leave the temperature control to Tado°. During the setup steps you select a temperature that you would like your home heated to while occupied during waking hours. You can select what time you usually head to bed at and what time you rise and there is a separate temperature setpoint for those sleeping hours. One of the main concepts behind how this particular smart thermostat works is presence detection and as an expansion of that, geofencing. For this to work you need to install the Tado° App on your smartphone (Android/ iOS/ Windows) and allow it to use the location services of your device to update the thermostat with your location. Once you are at home, the thermostat will control your heating system and maintain the preset temperature. If you leave your home it will reduce the temperature setpoint in your house based on how far away you are. Using this method, your home isn’t needlessly heated when it’s unoccupied. The heating will kick back in if the temperature drops below 5 degrees to prevent freezing. Once you start returning home the temperature will be ramped back up to your setpoint in increments based on your distance away and will have the house up to temperature by the time you set foot back inside. Heating your home this way removes the need for programmed schedules for your heating and prevents them from being left active when not needed which is one of the main wastes of energy. The thermostat also learns how long it takes to heat your home and adjusts its settings accordingly while also checking the weather to prevent the house from getting too hot when it’s mild out or not heating quickly enough when it’s cold. In short, it should be. Controlling your home heating this way is far more intelligent than traditional methods and even if you are someone who is completely on top of your energy saving game, this will automate the process for you and remove the need for constant temperature and schedule adjustments. What type of heating system you currently have comes into play, but Tado° claim their smart thermostat will work with 95% of current systems. If you currently don’t have a thermostat in your home you will need an additional piece of hardware called an “extension kit” that will be wired into your boiler and will act as the go between for the thermostat. The extension kit costs €99 to buy outright but can also be rented for €2.99 per month. From what we can tell, there will be further uses for this hardware once future software updates are rolled out. At present the Tado° setup can only control one zone. That means for example, if you have a thermostat in your home for controlling upstairs and another one for controlling downstairs, you can only choose one of them to replace with Tado°. There is a similar limitation with Nest which requires you to install a thermostat for each zone, increasing the cost substantially. It also means that there is no option to additionally control the hot water generation for your home if you already use your boiler to do so. Not all is lost here though as it is a limitation of the software rather than the hardware and Tado° are currently working on a update to the system which will enable multi zone control (to the radiator level) and hot water control. We’ve spoken with Tado° about this and they have stated that the update should be ready in the last quarter of this year. Not a limitation of the thermostat as such, but still worth mentioning, is the age old problem of getting different home automation systems to communicate with each other. As there is no standards as such to work to here, different companies use different wireless protocols and care little about how they will interact with other manufacturer’s products. If I use Belkin’s Wemo to automate my sockets, Philip’s Hue for my lighting and Nest for my home heating, none of them will cross communicate and I will have to buy communication hardware or hubs that will only work for each brand. 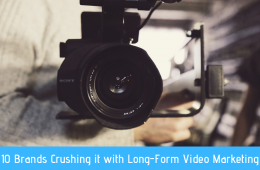 There have been attempts to solve this issue, with groups of manufacturers agreeing to use the same technologies and protocols but progress has been slow or often failed to materialise at all. Also, you will always find someone who will tell you this can be done for less money using older technology and while that is somewhat true, some of the systems that have been around for some time have suffered with reliability or compatibility issues, have never been presented in such an easy to install readily available package and have been viewed and treated as niche product rather than something for the masses. Before we get started, this section is aimed at someone who is experienced enough to fit a unit like this. It will require you to work on electrical systems and if you are not 100% sure of what you are doing you should seek professional help to fit this. Tado° packaging is straight out of the Apple book as you can see in the image above. Present the product up front and centre and tuck everything else away in little compartments underneath. The Tado° thermostat is slightly larger than most analog devices it will likely be replacing, measuring 104mm square. Inside the box you get the data link, a phase tester terminal driver, an ethernet cable, micro USB cable and plug for powering the data link. The data link needs to be connected to an ethernet port on your router and either powered by a spare USB port if you have one or plugged into a socket. The whole installation process is accompanied by a step by step guide on the Tado° website. Once you have signed up for an account, the website asks you to identify your current setup and then the heating and control equipment used in your home. In our case we had to select the type of wired thermostat we were replacing from an extensive list, the type of digital programmer that is installed and the make and model of the gas boiler. The next step is to register the smart thermostat and the data link to your account. This is done by entering serial numbers on both pieces of equipment into an online form. If your setup requires an extension kit you can register it during this step too. With the data link powered up and hooked up to the net, the next step is to turn on the smart thermostat, allow it to find the data link and sync with the servers. The thermostat has a battery pack which allows it to power up and be used away from the electrical supply. Once this is done you are ready to install the Tado° thermostat. As I mentioned above, each of the following steps has accompanying instructions on the Tado° website and as you progress through them you have to confirm that you’ve completed each step before it moves on. The first step is to electrically isolate the supply to your boiler using the relevant MCB in your electrical panel. Once you have done this check that the boiler, and programmer if you have one, is dead. This is the thermostat that we’re replacing. It is very straightforward to remove the front cover and gain access to the electrical terminals. The temperature dial can be gently pulled out to reveal a small cross head screw. Once this is unscrewed, the front face can be levered off, top edge first. It is held in place by two slight ridges on the back casing. With the wiring now on show, the Tado° step by step looks for you to select what particular setup you actually have from a few different choices and then asks you to label each wire based on this. The label stickers are provided in the pack. Before disconnecting the wires you should double check they are dead using the phase tester provided. With the wires labeled you can remove the old back plate and fit the new one. Based on the instructions provided on the Tado° site, the wires were connected to the new terminals on the Tado° back plate. Once all that is complete it is time to fit the smart thermostat to the back plate. It sits onto ridges at the top and is secured with a small, fiddly, screw at the bottom. The physical install is now complete and all that remains is to turn the power back on. You now need to install the Tado° App on your smartphone. Once you have it installed, login with your user account and give your phone an alias that it will be identified by within the Apps and online UI. As you can see in the screenshot above, your home is geofenced by decreasing temperature setpoints depending on how far away you and your other flatmates or family members are. If one person is still present, the temperature is maintained in the house but once everyone has left the setpoint starts dropping. The settings can be manually overridden via the App and also physically on the unit itself if you want to take over control for whatever reason or if there is a guest in your home for instance. On the web based interface you can see a historical graph for the temperature in your home which shows when the heating was on and when any changes were made to the system among other things. The temperature sensor in the unit is very sensitive and you can see the impact turning on lights, a TV or an oven makes to the room temperature and you can also then see what rate it drops off at. From the short time we have spent with this so far, the geofencing works well but it is affected by the quality of the data connection on your smartphone. If you find yourself out of coverage, the App can’t report your whereabouts so you need to keep this in mind when deciding if this is the right product for you. We will need to use the Tado° smart thermostat for a longer period of time and follow up with another article about our findings. Initially we are very impressed. It’s very easy to install in your home and the web based step by step guides are some of the best I have experienced. Multi-zone control and hot water control need to be priority number 1 for Tado° and when that’s delivered this will be a much more complete product. With that said, even controlling just one zone, it is easy to see how this could save some people quite a lot of money on their heating bills.